Here's a story from the near future. It's been a long day. Finally throwing aside the cares of work, you slump down on your sofa and pick up that shiny new device you bought the other day. Costing the thick end of £1,000, it's Apple's stylish new iPad (iTablet? iSlate?) – a smooth 10in screen with no keyboard, like an iPhone on steroids. You pick it up, turn it on with one swipe of a finger, and begin to . . .
At this point, the picture goes hazy and freezes. The reason: while the ­invitations for the launch of Apple's "latest creation" in San Francisco next Wednesday have finally gone out to the great and good of the technology industry, still no one is certain what the hell their creation is actually going to be for, nor even what it will be called (though my money is on iPad or iSlate). The device that Steve Jobs, chief ­executive and co-founder of Apple, will unveil at the Yerba Buena Center for the Arts is variously predicted to transform our experience of reading electronic versions of books, news­papers and magazines (there are ­publishing executives clasping their hands heavenwards with that fervent wish); of watching TV and video; of surfing the web and playing games; even of making internet video calls. Perhaps it will do all of the above. Not surprisingly, then, this is being called "a critical turning point for the way we get and use all sorts of media", and "Apple's reconception of personal computing". In the New York Times, the media columnist David Carr wrote: "I haven't been this excited about ­buying something since I was eight years old and sent away for the tiny seahorses I saw advertised in the back of a comic book." Another gasping fan wrote: "The only thing I know is that I'll take two." A carefully leaked story in the Wall Street Journal at the start of the month gave the scantest of details of what to expect of the new tablet: a 10.5in "multi-touch" screen (more of that later), no physical keyboard, probably in two different colours, available to buy in March. What is known is that HarperCollins and other publishers have already been negotiating with Apple to make their ­e-books, magazines and news­papers immediately available on the new device. The Apple ­tablet's reading experience is ­expected to be much enhanced from the current crop of handheld e-readers such as Amazon's Kindle, which launched in November 2007 and costs about £300. With its monochrome screen, plasticky white buttons and limited web browsing ­capabilities, you'd never mistake the Kindle for an Apple product, and ­industry rumours suggest it has sold no more than 1m ­devices worldwide. "With big names like HarperCollins and Time magazine weighing in, the Apple iTablet is going to change digital publishing in a way Amazon's Kindle hasn't yet done," says Peter Moore, ­director of specialist publishers PSP Rare. "With a touch-enabled colour screen and a similar size format to ­current magazines, the experience should be almost physical – with the added ­benefit of live content and links through to websites." Richard Charkin, executive director of Bloomsbury Publishing, is eager to meet this new entrant in the e-reader market. "The fact that Apple is coming in is terrific. E-books are already ­happening with the Kindle – we have been pleasantly surprised by the ­volume of e-book sales – but this will accelerate it." To truly revolutionise our lives, however, Apple's creation must go far beyond being the best e-reader in class, and change the way we view film and games too. And there the question ­remains: how different can it be from an ordinary laptop computer, aside from being pricier and without a ­keyboard? After all, Lenovo, Asus and Apple itself all make super-thin laptops that weigh barely any more than the A4 office envelope you can slide them into. But that is to underestimate the common denominator of most Apple products: that they (almost always) take an existing idea and make it cool and desirable. The iPod, the iPhone and the flatscreen all-in-one iMac all redefined the idea of what a device ought to do, forcing everyone else to copy the new benchmark that they set. Which means that, in five years' time, the person picking up the tablet-thing in their living room might be you – even if its maker isn't Apple. Consider the iPod. Apple wasn't first into the MP3 player market in ­October 2001 but, says Ian Fogg, ­principal ­analyst for consumer products at ­Forrester ­Research, it instantly ­redefined music on the move by ­making the player smaller and its ­capacity far bigger (around 1,000 songs). The real revolution was its "scroll wheel" for navigating through all those songs – obvious in retrospect; but the cool it exuded shot the iPod to immediate dominance. Similarly, the iPhone wasn't the first smartphone capable of email or web browsing. "Those had existed for eight or nine years," says Fogg. "But the iPhone did it in such a different way." Effectively a handheld computer, it was iPhone details such as the ability to "double-tap" to zoom a column of text up to readable size that made it feel revolutionary to users – not to mention the multitude of useful, funny and plain weird apps software that soon sprung up around it. And so, goes the logic, it will be with the iPad/iSlate. Because tablet computers are already here, having been launched as long ago as November 2001 by none other than Jobs's arch-­rival, Bill Gates. "I'm already using a [Microsoft] Tablet as my everyday computer," Gates told his audience at the Comdex show in Las Vegas back then. "It's a PC that is virtually without limits." He then added his own modest little prediction: "Within five years, I predict it will be the most popular form of PC sold in America." But Gates was wrong. Today, the tablets market makes up less than 1% of sales of all computers, because they are usually cumbersome and pricey (about 20% more expensive than the equivalent laptop). This is because the ­majority are, in reality, dual-purpose laptops: turning them into a tablet ­requires twisting the screen to hide the keyboard; not a ­particularly elegant solution. The ­alternative format, the "slate", uses virtual keyboards that you poke at with a special stylus, or handwriting recognition that is ­hit-and-miss. Apple, however, has ­already shown it can make a workable virtual keyboard on the iPhone, which people use to write quite long messages. So what, ­ultimately, is the revolution we are ­anticipating? In one word, multi-touch: being able to control the ­computer ­directly via its screen without the need for keyboard or mouse, using one or more fingers. With a hint of Tom Cruise in Minority Report, this instinctive, ­futuristic control system allows users to tailor their screen (even the size of the keyboard) and move from function to function effortlessly and with style. A 2007 interview with the New York Times explained how, "Mr Jobs seized on the multi-touch technology after Apple product designers proposed it as a 'safari pad', a portable web-surfing appliance. Instead, he saw the technology as something that could be used for a similar purpose in a cellphone." Now, having made the phone, why not finish the "safari pad"? Multi-touch first came to public ­attention thanks to Jeff Han, a ­researcher from New York University. In February 2006 at the TED conference (an exclusive gathering of physicists, artists, futurists, comedians and Al Gore), Han gave a talk using a 36in x 27in touchscreen that wowed people by doing what iPhone users now take for granted: moving things around ­using his hands and fingers. What Han did was a revelation. He moved pictures and files around the screen like someone shifting paper across a desk. But he also "pulled" them bigger, "squeezed" them smaller, flew over landscapes, tilted the view by holding two fingers down and pushing. The audience wowed and cheered. "When I hear about the $100 laptop [a scheme to equip schools in the ­developing world with a low-cost ­machine]," Han told his audience, "I cringe at the idea that we're going to introduce a whole new generation of people to computing with the ­windows, mouse, pointer interface. I think this" – he shuffled the pictures and then brought up a virtual keyboard – "is the way to go." He flipped some more pictures. "Isn't this great?" he said rhetorically, sounding exactly like Jobs extolling the latest item to emerge from Apple's labs. Watching him, you could only agree. Since then, Microsoft has also added multi-touch to Windows 7 (although most PCs don't have the capability to do anything with it), but it is clearly rattled by all the talk around Apple's forthcoming device. Though dismissive about the price tag on Apple products – Microsoft's brand manager David ­Webster last year sneered to Newsweek that, "Not everyone wants a machine that's been washed with unicorn tears" – the company let it be known, through leaks to the media, that its chief ­executive, Steve Ballmer, would be showing off tablet computers in his keynote speech to the Consumer Electronics Show in Las Vegas earlier this month. He duly did – and it was the second time Microsoft has launched tablets and ­nobody took any notice. Now, however, armed with a decent-sized screen, effortless multi-touch, sleek good looks and all those ­millions of apps, perhaps ­Apple's tablet will prove the holy grail of being the consumer favourite for watching TV and movies, reading e-books, surfing the web and playing games (entirely new multi-touch games, played against fellow Apple tablet users). Among the newly unearthed Apple patents that have been sniffed out this month is one where the screen shows a three-dimensional view of items arranged on a sort of landscape. 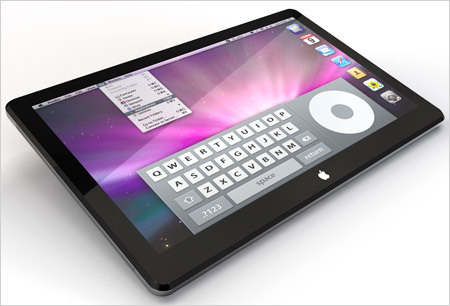 Is that what Apple is ­going to do to make the tablet feel even more futuristic? This is where the head-scratching ­really starts. Whenever you talk to ­anyone about tablet computers and Apple, the conversation follows the same pattern: everyone reckons that tablets just aren't that workable, ­because they are neither fish nor fowl in computing terms. Yet still they ­believe Apple can create the device that will be on everyone's menu. "There's no really clear series of ­applications which define what a tablet is for," says Fogg. "It is more defined by its form factor – its shape and ­appearance – than its use." And, it should be remembered, ­Apple hasn't always got it right. The Apple TV, launched in March 2008, isn't a TV; it's a set-top box for playing videos or music from the iTunes Store or your computer. Not heard of it? That is because it has done underwhelming business. Similarly the Cube, a solid-looking 8in cubic ­computer launched in June 2000, was a pet project of Jobs's (who, in his previous company NeXT, had proudly ­unveiled a cubic black computer). ­Nobody could quite understand who the Cube was meant to appeal to. It cost more, but could do less than ­Apple's professional desktop machines. Apple, though, insisted there was demand for it. Then, a year later, it halted sales and said it was putting the Cube "on ice". It is, though, highly unlikely that Apple's tablet will meet the same fate. Jobs is smarter now, and the combi­nation of multi-touch, cheaper screens and all that video must add up to something. Mark Mulligan, who specialises in media analysis at Forrester Research, says the tablet could "break down the 20th-century media product boundaries which we understand and define our media consumption by." CDs, DVDs and so on have forced us to use different devices to watch films or listen to music. But a successful tablet could end all that. "In the age of media multi-tasking," Mulligan says, "it would join the dots ­between the multiple ­devices we live our digital media lives across." Members that contribute to this topic will be awarded raffles! The comment judged most interesting and contributing the most to the topic will be awarded 10 raffles. Only one member can receive the 10 raffles if no comments are found to contribute or not add an interesting angle then no members will receive the raffles. I don't know, would this be an easier way to work? Without the physical touch due to which we are able to do things quickly like typing. I have seen a tablet from HP, but with a keyboard. But here with this one we are looking at just a screen. From what i can recall about the tablet of HP, i will not like typing on a screen. It could be a little slow as compared to our traditional typing speed. Personally, i prefer speed over ease of working. Unavailability of mouse, means gfx designers or those who require mouse won't be using it. I feel Apple's tablet would be restricted to users for surfing & typing purposes. Microsoft had unveiled Surface sometime back, but the cost being a bit on the higher side & due to its limited usability in the form of the huge table it did not make a huge impact on the market. However, with this Apple Tablet competitively priced, i can see it could be simply the next generation of laptops that we would see. Id disagree with you there. I like the idea of not having peripherals. No mouse , no keyboard just your hands. I've got a touch phone now and I am certain that I am not going back to a button phone. Touch... even though its not super extra sensitive and sometimes it goes mad ... its the future and is a hundred times more comfortable to work with. Like mario said its a giant Iphone ... I think that sounds good. Obviously it'll have the characteristics of a netbook... so no gaming ... just web browsing... music , video ... chat ... and so on. Ilove the idea... hate the price. OH btw ... 2 raffles for anyone that adds concepts of the islate. Hmm... I agree with Jalokim... There needs to be peripherals... I would be fine without a keyboard... But they would need to release a docking station for users, along with a stylus. Without a stylus... 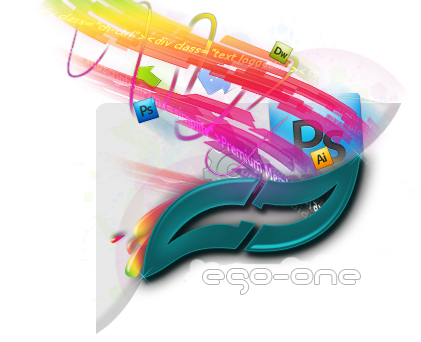 It may be difficult for some users to use there hands to write text and design artwork. There still however is the possibility that it will not be a computer but a e-reader through iTunes.. If so, then they might have a upper hand against Amazons Kindle. If any company could out sell the Amazon Kindle, Apple would be the one to do it. It'll still be interesting to look at.